Breaking down borders, the EU's 'macro-regional approach' is proving very popular across the continent - pioneering a new method of cooperation between European regions. 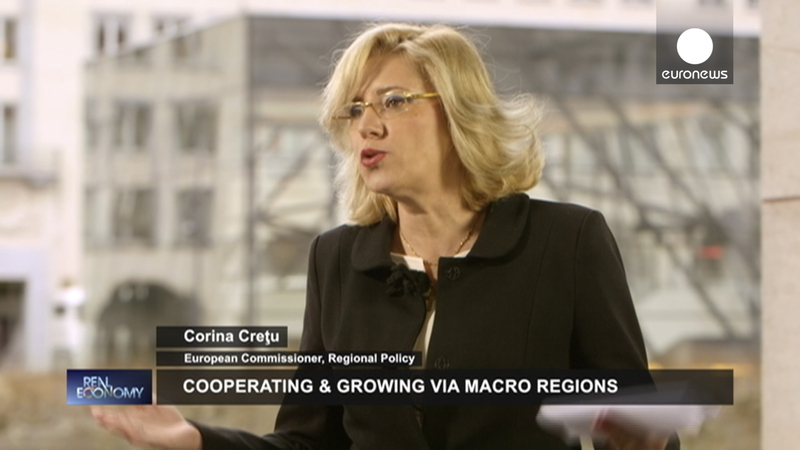 As the Commission works on a proposal for the fourth EU Macro-Regional Strategy, I told Euronews that these Strategies are about results, not structures. The EU Macro-Regional Strategies for the Baltic Sea and the Danube started a new trend which is changing the way regions work together across Europe - both EU and non-EU alike. I had the pleasure of launching the third such Strategy for the Adriatic-Ionian region soon after I took over the reigns of EU Regional Policy, and now my services are working on a proposal for the Alpine region. So, it's no wonder that the approach is featured in the latest episode of the Euronews programme Real Economy. Reporting from Croatia - a country participating in two Strategies, they assess the success of these Strategies and the challenges they are helping to overcome. I spoke to them here in Brussels and told them why I think this way of working makes sense. For me, the macro-regional approach is a logical way to solve shared problems together that you cannot deal with on your own. But the results speak for themselves: these Strategies have brought about projects that tackle the pressing challenges across Europe - from Energy, with the Danube Region Smart Grid Concept, to Environmental Protection with the reduction of phosphates caused by detergents in the Baltic Sea or stronger police cooperation to fight organised crime. This joint approach is achieving benefits that no country could achieve on its own - whether tackling flood risk, or sea and river pollution, to ensuring brain drain becomes brain circulation and the completion of sustainable and successful transport links. I made the point to Euronews that while the Commission is there to support the countries involved in these strategies, we should not be running the show. National political leaders (and ministers) need to provide the lead if these strategies are to work – with real results for ordinary people. We are also expanding our experience of working on an equal footing with non-EU members. The Danube Strategy set this model in motion with 5 non-EU countries participating, including Ukraine, but the Adriatic-Ionian, for the first time, sees an equal number of EU and non-EU countries joining forces. This clearly has huge potential for Europe and represents a real opportunity for the Western Balkans in terms of EU integration. Watch the episode and decide for yourself, but afterwards I hope you will agree with me that Macro-Regional Strategies are Europe in action!